Sailor Moon is an anime series by Japanese author Naoko Takeuchi about a schoolgirl who can transform into Sailor Moon aka the leader of the Sailor Soldiers. Their mission is to battle against villains who are trying to steal the Silver Crystal and destroy the Solar System. Sailor Mercury is one such character from the series and a member of the Sailor Soldiers. She is seen as the ‘brains’ of the group using her intelligence and supercomputer to help the girls get an edge during battles. 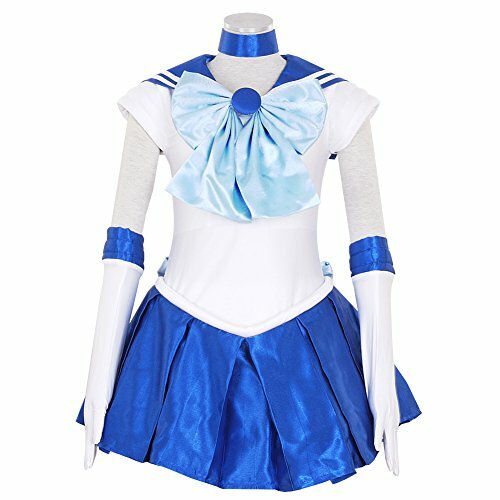 Yesterday on the blog we showed you how to create a Sailor Moon costume, it only made sense to keep the theme going so today we’ll be doing a Sailor Mercury Costume. 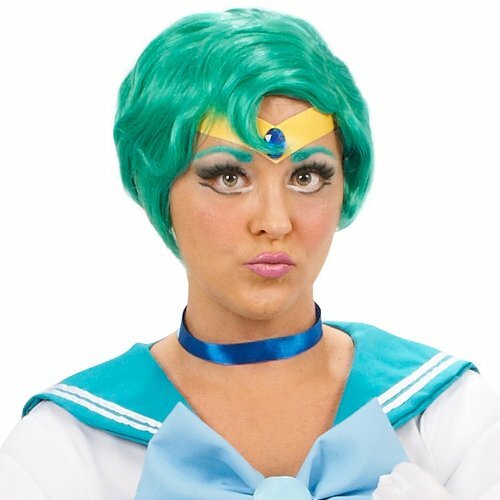 So if Sailor Mercury is your favorite member of the gang, this post is for you! As it happens their outfits are fairly similar so the instructions won’t be much different. Without further ado let’s get into it. The first area to tackle is Mercury’s hair, she has short blue hair in a bob style. 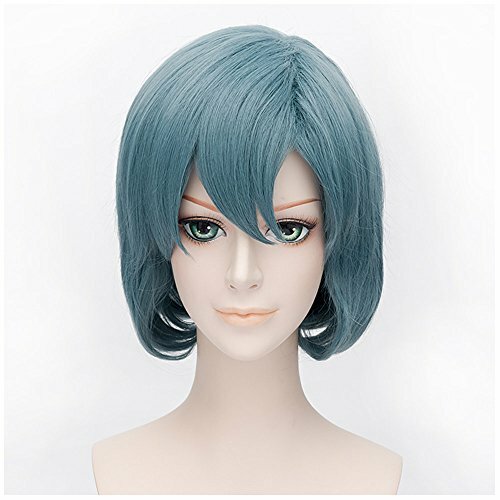 Chose between wearing a wig such as the ones above, or dye your hair blue and style/cut into shape. Use spray dye if you’d like a less permanent change. An optional accessory is Mercury’s head piece. 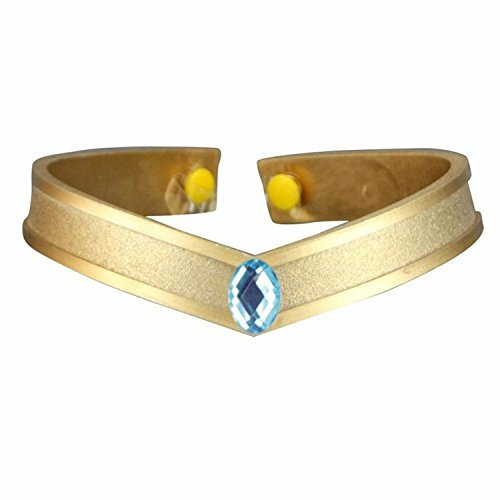 You can check out the one we’ve picked out for you above or make your own using a yellow headband or piece of card wrapped around your forehead with a blue plastic gem glued onto the center. As a last resort you could even draw it on following the makeup guide below. Now let’s move onto the cosplay outfit itself. As I said above this outfit is practically identical to Sailor Moons, the only difference is the colorscheme. 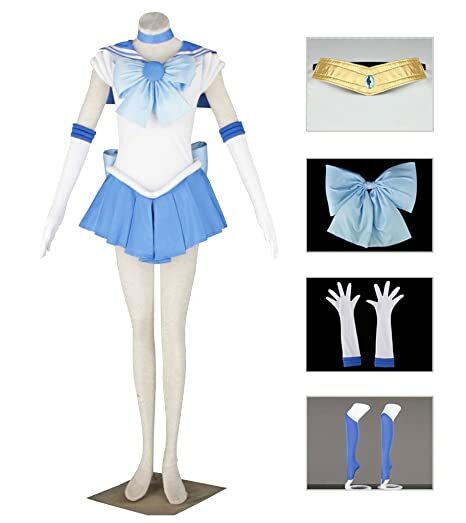 This cosplay set has everything you’ll need to transform into this character including: dress, tiara, chocker, two bowknots, pair of gloves and stockings. You could easily pick up these same items from your local thrift store to put together this outfit yourself. A white short sleeved nautical themed shirt, blue skirt, white gloves, a blue bow. Use scrap blue fabric to create the arm bands and neck chocker. Simply add a pair of blue boots such as the ones below to complete your outfit (pick these up at the thrift store when you’re looking for the other items). 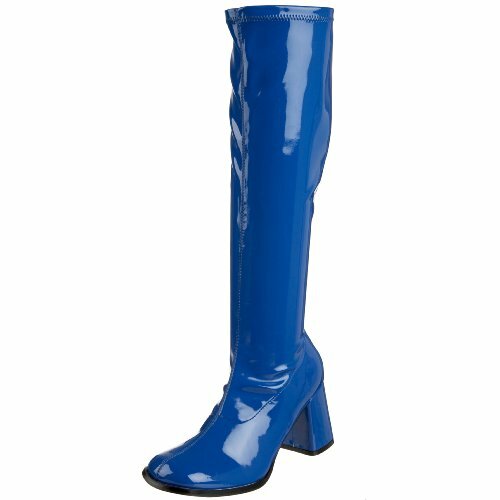 Finish off with a pair of bright blue Gogo boots. Pick these up from the link above or find them in your local thrift store for a few dollars. Although it is completely optional, makeup would help bring the whole look together. A little blue eye shadow, a cat wing and blue contacts will go a long way. For a detailed rundown check out the video. The artist even shows you how to draw on the headband so you don’t have to buy one. This would make the ideal group fancy dress idea too, if you can get a few friends or family members along with you dressed as different members of the Sailor Soldiers even better! Before you leave be sure to check out the rest of our cosplay guides on the blog and for updates on newest posts follow us on social media.